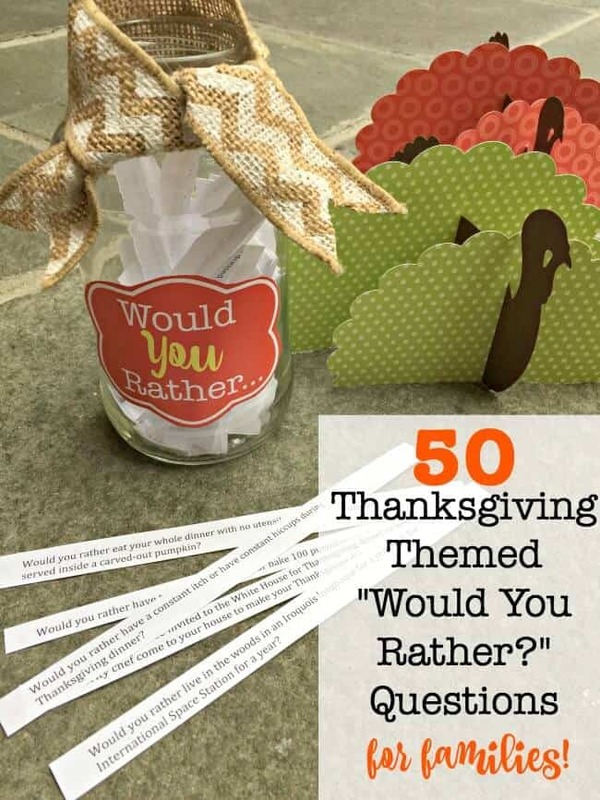 This year I've decided to “jazz up” the conversation around the Thanksgiving table and play a fun game of “Would You Rather?”! 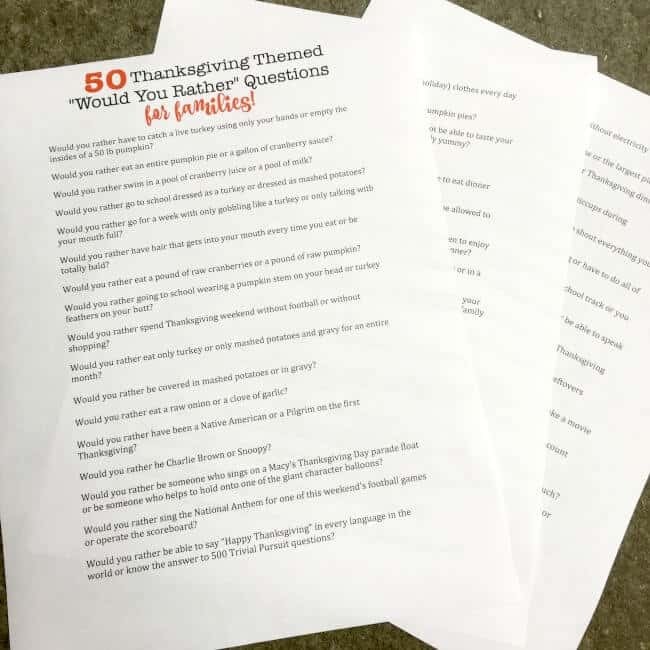 It's one of my kids' favorite sleepover party games for kids– so I thought that developing a list of 50 Thanksgiving Would You Rather questions to play with the kids and adults after dinner would be a fun way to cap off one of my favorite days! 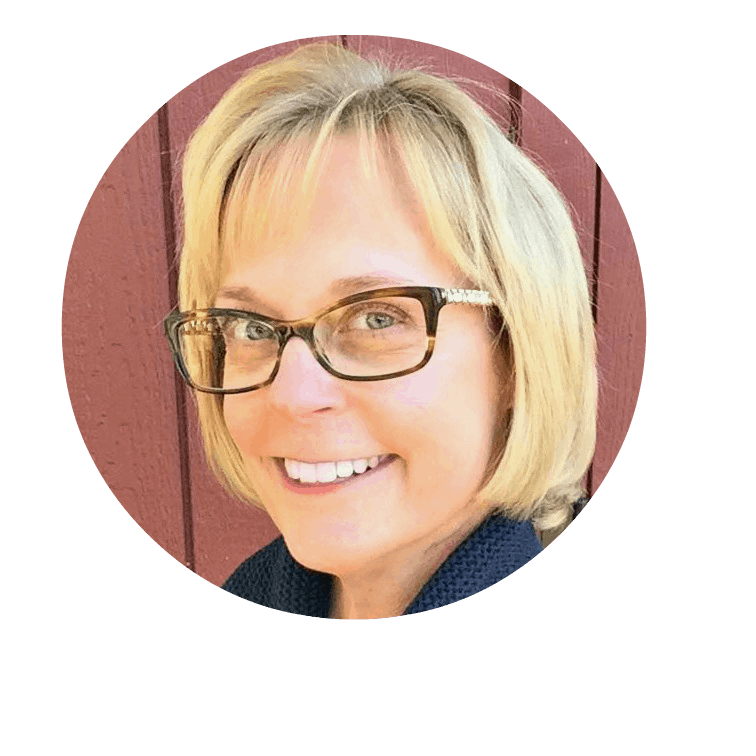 I simply cut the list of 50 questions into little strips (using my scrapbook paper cutter This is an affiliate link: MomOf6 earns a commission if you purchase, at no additional cost to you. ), folded the strips in half and placed them inside of a cleaned-out pasta jar. I love to recycle glass pasta jars for use in all kinds of projects and displays in my home! You don't need to spend $ on canning jars when you can recycle something you already have for free! I added a sweet little burlap bow This is an affiliate link: MomOf6 earns a commission if you purchase, at no additional cost to you. 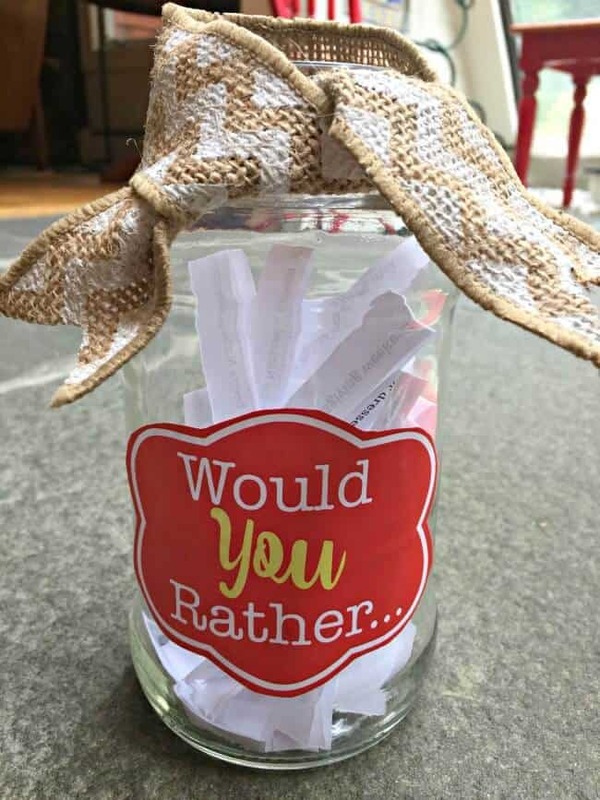 and applied an orange and yellow “Would You Rather?” label to the jar using my scrapbook roller adhesive This is an affiliate link: MomOf6 earns a commission if you purchase, at no additional cost to you. . Does your family like to play party games on Thanksgiving? If so, please leave a comment and tell us all about it!